Sandstone has been used in architecture for centuries. 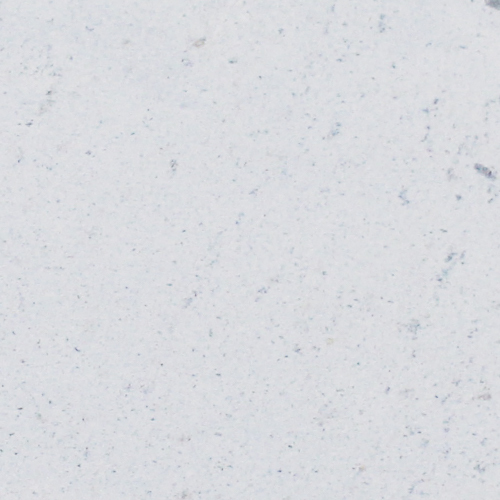 What makes this sedimentary stone a top choice for designers and DIYers alike? Sandstone is very dense, which means it’s strong and durable. That’s why you still see thousand-year old sandstone edifices around the world! Even with a thick layer of algae, these sculptures are enduring works of art. With Indonesian sandstone, you get the best of both worlds – a dense stone that’s still lightweight. Because sandstone lends itself so well to carving, you’ll regularly see it in ancient temples, cathedrals, and other ornate structures. Contemporary designers can also appreciate the merits of this versatile stone, and it has been used in many Australian heritage buildings, including Melbourne’s Shrine of Remembrance and the State Library of New South Wales. Most importantly, sandstone is beautiful. The light stone looks kissed by the summer sun. In much of the world, sandstone is deep red in colour, but the high quality Indonesian sandstone BauMart imports is creamy yellow, or features gorgeous marbled streaks of red on its surface. Natural sandstone quality can vary greatly. Aptly named, sandstone is formed from sand and like all sedimentary stones, the consistency varies depending on the sediments involved. Sandstone forms when uniform grains of sand accumulate into two sheets. Smoothed out along the seafloor or the ground, these sheets are compacted and bonded together by water or air, then polished over time by erosion. Sometimes, however, rocks, pebbles and other contaminants can get in the way – making for a weaker and less attractive product. If you buy poor-quality sandstone, you’ll suffer over time. Not only will your designs be less beautiful, but you’ll also experience crumbling, damaged stone. First-class sandstone has been sealed by natural processes, while a low grade product will require sealing and expensive maintenance. 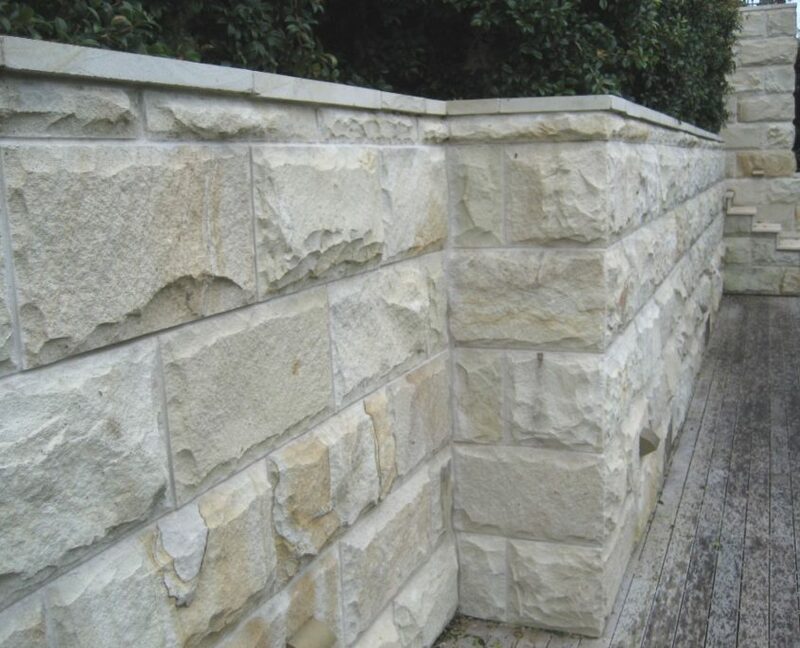 What other natural stones can do, Indonesian sandstone does at a lower cost. Because it is more competitively priced than granite and other similar materials, you can afford to use sandstone in even your biggest renovations. 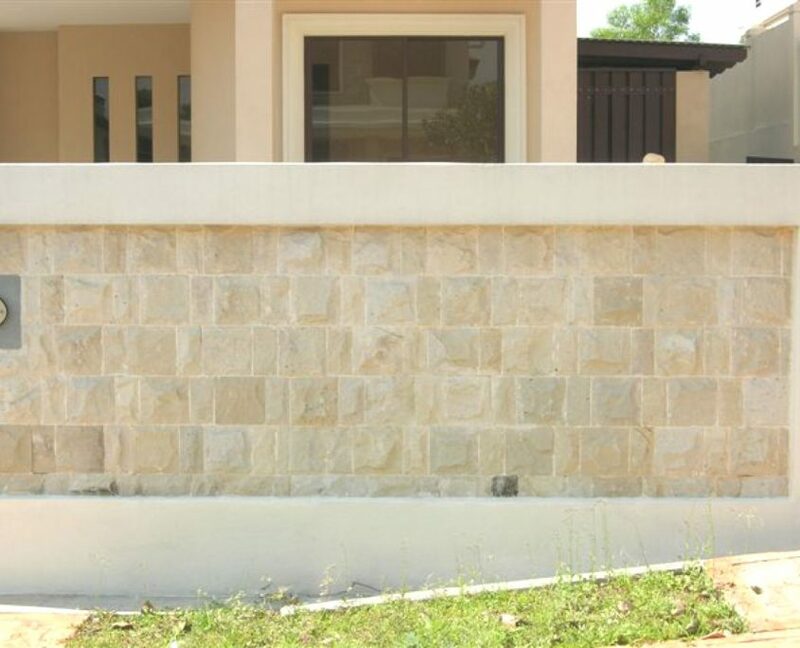 People commonly use sandstone to build stone walls or stairs, not only because it looks great, but because their budget goes further with sandstone. The right sandstone requires minimal maintenance. You don’t need to seal the stone, and it will last for generations. Because the stone is so dense, it can withstand heavy rain, corrosives, and even extended freezes and thaws. 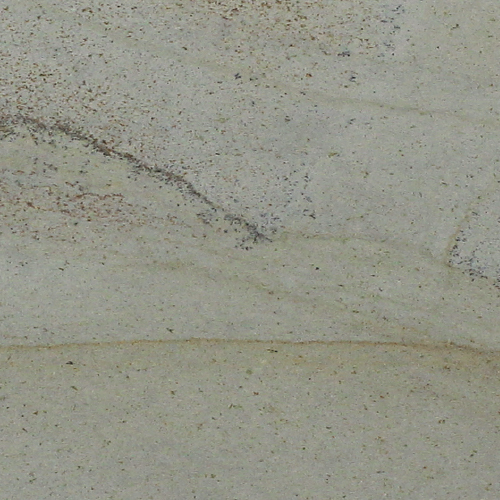 BauMart sandstone won’t bleach out like other natural stones. Rich in iron oxide, our sandstone has the unique ability to hide marks and stains over time.To maintain Indonesian sandstone outdoors, you can simply spray it with a power washer. If you do want to use chemical cleaners, make sure you only use those specifically for sandstone. Because of its structural soundness, sandstone is an obvious choice for outdoor applications, but you can use it in your home as well. Sandstone is an excellent option for tiled floors and accent walls. bringing the outside in with earthy tones. 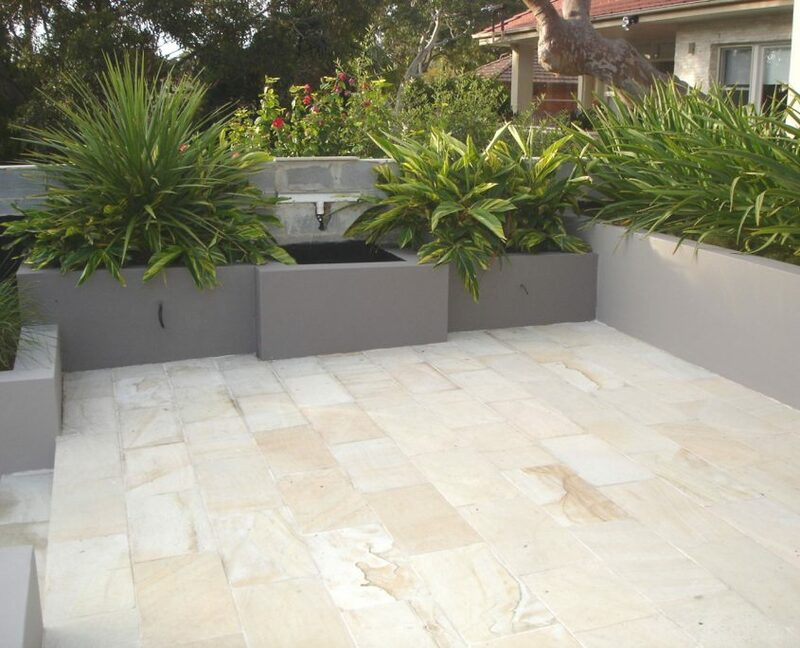 Sandstone requires little preparation and can be installed relatively easily. This makes it ideal for DIYers and busy architects alike. Importing natural stone might seem like an exhausting process, but we make it easy. At BauMart, we pride ourselves in our ability to import small and large quantities of the highest quality Indonesian sandstone on a short notice. When you provide us with the right information, we go straight to work to deliver you an outstanding product. Industry experts, BauMart staff walk you through the entire process of sourcing and using Indonesian sandstone. 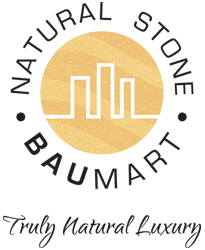 We consider ourselves your design partners, and are here to consult you on any project. BauMart offers sandstone in a number of colours to suit your design preferences. Our catalogue includes golden, white and yellow palamino sandstone, and we’re glad to cut it to any size. 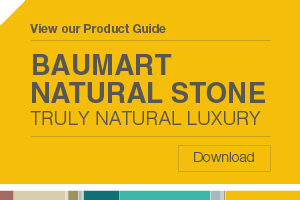 Whether you’re after pavers or tiles, BauMart Natural Stone has you covered.